Andrew Willis is a Consultant Interventional Radiologist with a special interest in venous intervention and in embolisation techniques. Having trained at St. Mary’s Hospital Medical School, qualifying in 1997, he completed basic surgical training in London, Essex and Cheltenham and subsequently Radiology training, including an Interventional Radiology fellowship, in Birmingham. Andrew is a member of the Royal College of Surgeons in London and a Fellow of the Royal College of Radiologists. He was appointed a Consultant Interventional Radiologist at University Hospital Birmingham in 2007 and at the Birmingham Children’s Hospital in 2008. 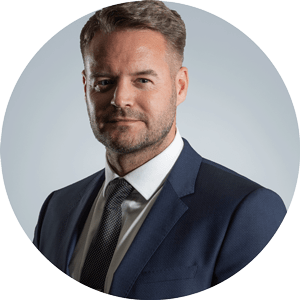 Andrew has developed an interest in minimally invasive venous techniques including the endovascular treatment of varicose veins and passionately believes that The Whiteley Protocol® offers the very best in care for patients with venous disease. Andrew has worked as a consultant at the Whiteley clinic since 2011. Andrew spends much of his time away from work at football training grounds around the UK as his youngest boys are signed to academies including his beloved Birmingham City, whilst his eldest son plays for Meadow Park football club, a team Andrew founded in 2008.